Ferrier was one of 27 in the guest category. The Cleethorpes-born left-sided forward started his career locally with non-league Grimsby Wanderers before a 1933 move to neighbouring Football League side Grimsby Town, but he had yet to make his first team debut when he was snapped up by Manchester United in 1935. 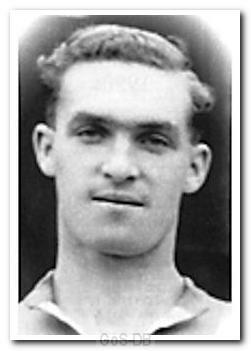 In a two-year spell at Old Trafford he played 18 games and scored four times before moving the short distance to Oldham Athletic, scoring 25 in 45 games, with all but two appearances coming before the war. After his war exploits, which included his one guest appearance at Home Park, he added his two last games for Oldham in 1946-47 – the first full season of League football after the war – before briefly registering with Lincoln City in 1947. He then returned home and became a coach at Grimsby Town for a short while.